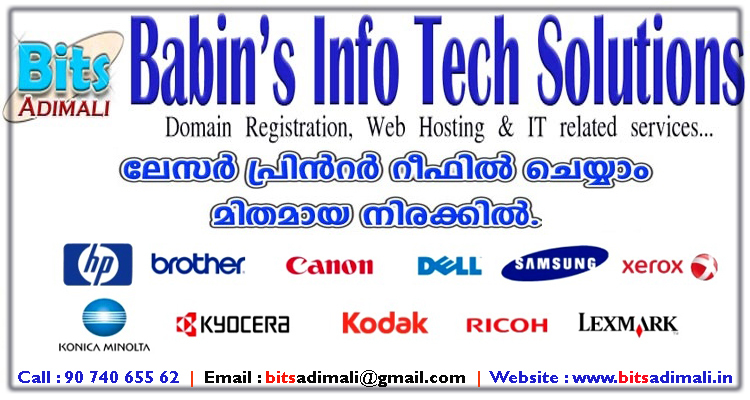 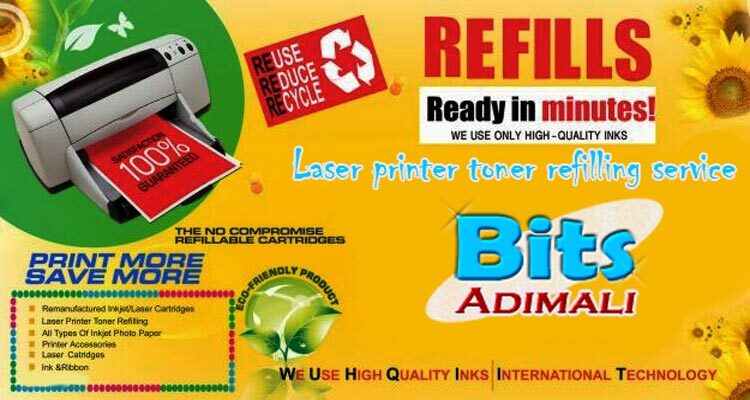 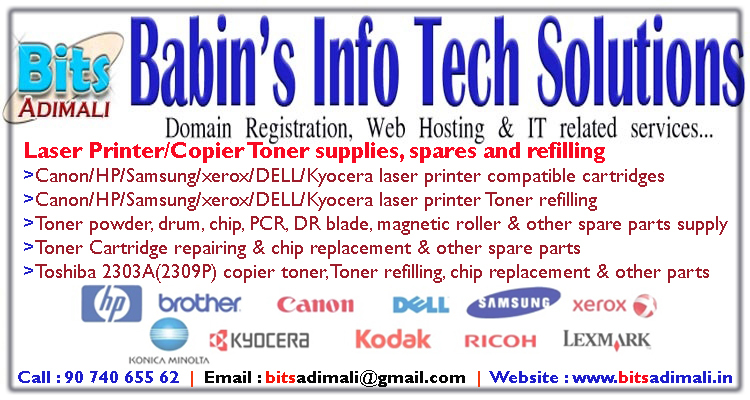 Since 2011, we have refilled more than 2000 cartridges... Join the team of 250+ satisfied regular customers of BITS Adimali. 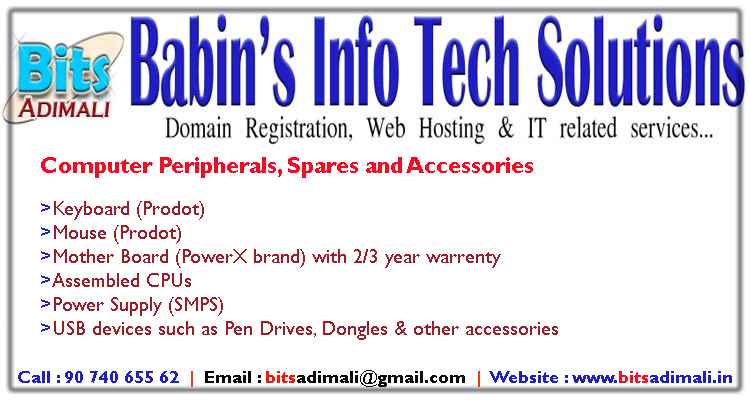 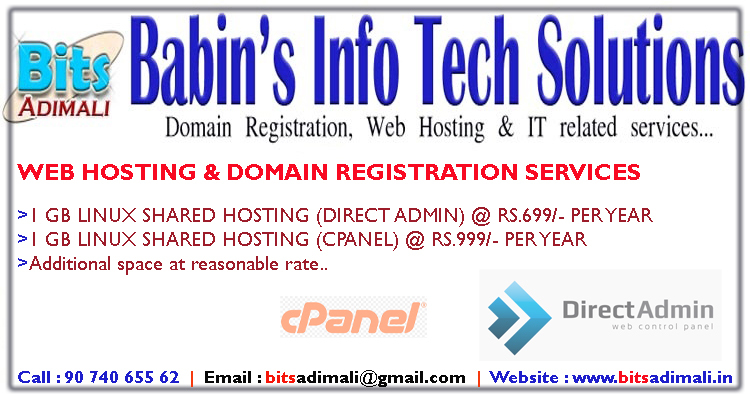 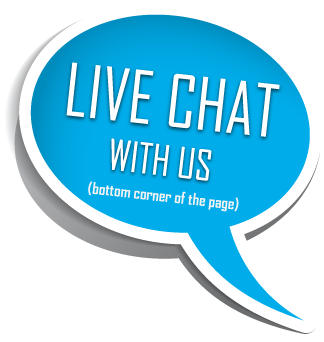 We are offering good service at affordable price. 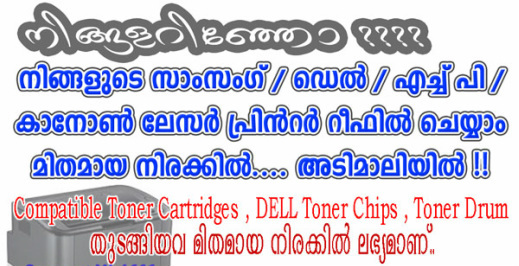 Compatible Cartridge Canon / HP : Rs.999/- onwards..